License Plate Recognition software that works in all environments, optimized for your location. Upload an image (up to 3MB) and we’ll decode the license plate. Our algorithms are trained with datasets from over 100 countries worldwide. Different states & countries have different plate formats and styles. Our algo is tuned to your specific location. Everyone says they are high in accuracy. Read below to see why ours is better. Our SDK has an inference speed of 100 ms on a mid-range CPU. Our API Cloud returns within 200 ms at 95% of the time. Our software works via the cloud or on your local server with no Internet required. Unlike other providers, our engineers (not a random customer service rep) personally respond back to your support questions. Can LPR work on a blurry image? Can LPR work on an angled view of the plate? Can LPR work on speeding vehicles? Can LPR work on plates with an icon? Yes! Our LPR ignores the icons. Can LPR work in a dark environment? Can LPR work with photos of multiple vehicles? Yes! We decode up to 5 plates per image. Can LPR work on low-res image? Yes! Minimum supported resolution is 40 pixels per 12 inches. Works with Motorcycles, Buses, etc. Can LPR decode plates on buses, motorcycles? Yes! Long-haul trucks, scooters, 3-wheelers, and more too! Can LPR decode plates with 2 rows? Integrate with our LPR API in a few lines of code and get an easy to use JSON response with the number plate value of the vehicle. See examples of how to interface with our API on this Github project. You can call the API on all the files of a directory and analyze the frames of a video. Sign up to access our API or download our SDK. Analyzes images of vehicles and responds with decoded license plate. Returns API call within 200 ms 95% of the time. Supports images up to 3 MB. Runs on AWS with servers in North Virginia, USA. Does not require Internet connection to decode plate. Is a Docker container with a REST API. Runs on a Linux, Windows, Mac and even Raspberry Pi. Inference is 50-100 ms on a 7-8 Gen Intel CPU, 4 Cores. Includes object detection software in SDK. No image file size limitations. See SDK Technical Details for more info. Questions about our LPR Cloud API or SDK? Contact Us. Five is Better than One. Unlike other LPR providers, we can return up to 5 decoded license plates from one single image. We achieve this by utilizing two distinct neural networks. One identifies all the photos of license plates from an image and the other decodes each character of the plate. Multiple Plate Styles. Let’s face it–not all plates are the same. Some have two rows of text. Some have icons at the beginning, middle or end of the plate. Some contain fancy fonts. Thankfully, our LPR engine supports them all. Environment Matters. 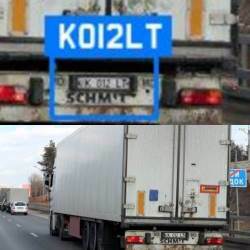 It’s easy to decode a license plate from a high-res photo of a vehicle on a sunny day. But we know that in reality, the weather and other conditions are not always ideal. To that end, we have been relentlessly enhancing our algorithms to support the variety of “real-life” factors. such as sun glare, blurry images, fast vehicles, night-time, and many more. Try our LPR Cloud API or SDK for FREE for up to 2,500 Plate Lookups a month. For higher usage, see our Pricing plans. Ensure that vehicles are abiding to your parking policy. Get alerts when there’s a violation. Check out our parking enforcement solution! Track all vehicles coming in/out a gated community. Compare with NCIS database to identify criminals. Track and optimize revenue from your parking lot. See detailed analytics and full reports! Looking for LPR in another country? We can help. Contact Us.